Max is a great dog, he loves fetch and to be pet. He's been neutered and has had his shots. He was born around August 2014 4 1/2 YO. (he and his siblings were rescued from an abandoned warehouse as puppies, around 4 weeks old.) He does best with a fenced yard or a lot of land to roam, he likes to hunt critters so he will wander but he will come as soon as he hears you call. 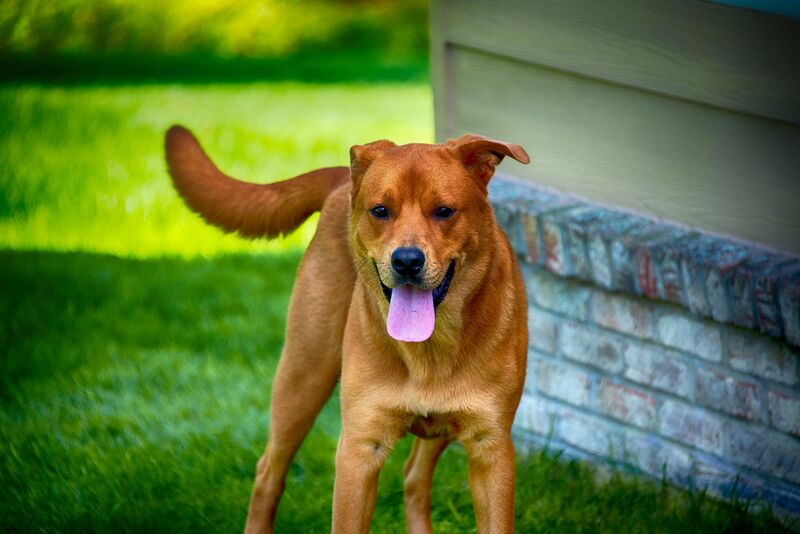 He loves to run and play with kids and other dogs, but he is skittish of other dogs and cats if they are new to him, especially if they come to his yard, once he gets to know them he will play. He is a watchdog type personality and will alert you of anyone in your yard or that comes to your house, again once he knows them he will love them and want to play. He has never damaged anything in the home, he is not food motivated, he can be given lots of food in his dish and he will only eat what he needs at the time.. He LOVEs to be given treats and will do basic tricks for you. He truly wants to please his family and gets sad if he makes any mistakes. He will stay by your side while walking and hasn't pull on his leash to get away. Simple commands work well with him, like "stay" "come" "sit" "lay down" he knows what NO means and OK, if you set treats down and tell him to "wait" he will until you say its ok.. Such a wonderful happy dog and will make a great watchdog and companion to someone. A bit about his history. I adopted him from a friend whose husband found him and 5 of his siblings in a warehouse in Detroit in 2014, they were all sick with mange, worms and a few other small items. I took Max home and got him healthy but it was a tough time for him. he had lots of shots, sulfur baths for the bad case of mange, he had weekly vet visits during his first year but hes been a happy healthy dog ever since. I think his early years made him a bit nervous around new people at first but with some reassurance hes happy to play with his new friends.